The CNN Original Series “Race for the White House” captures the dramatic twist and turns of America’s presidential elections past. 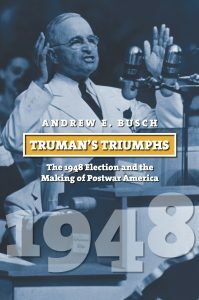 Executive producers Kevin Spacey and Dana Brunetti offer a six episode series featuring coverage of JFK vs. Nixon; Lincoln vs. Douglas; Clinton vs Bush; Bush vs Dukakis; Jackson vs Quincy Adams; and Truman vs. Dewey. 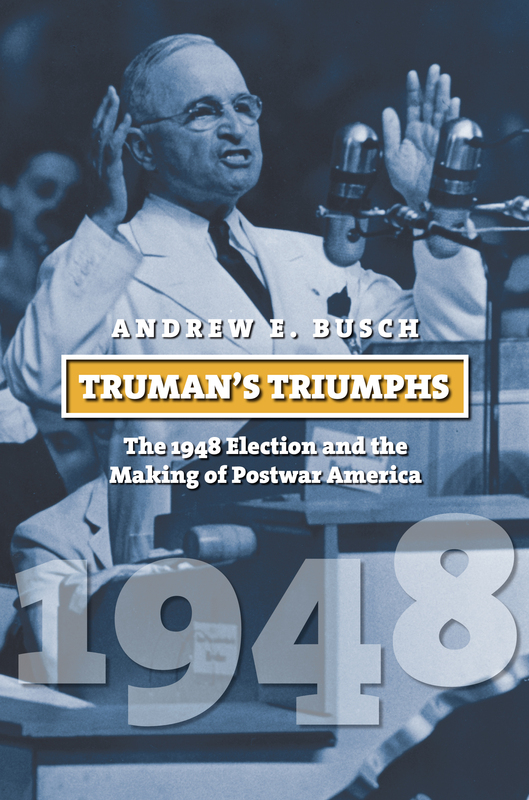 To learn more about the latter, read Andrew E. Bush’s “Truman’s Triumphs: The 1948 Election and the Making of Postwar America.” Even readers knowledgeable about Truman’s 1948 victory will discover new findings in this fresh and revealing account of that dramatic race.